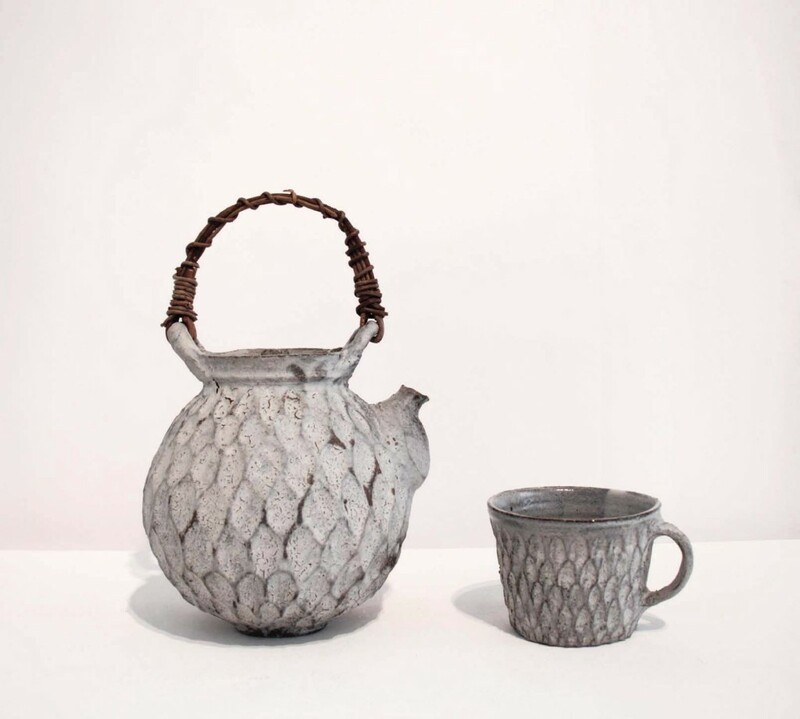 Tsubo, Stoneware 46 x 45 cm. 5. 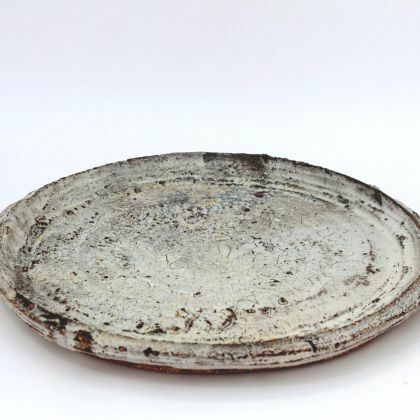 Large Plate with Path, Stoneware D:44 cm. 6. 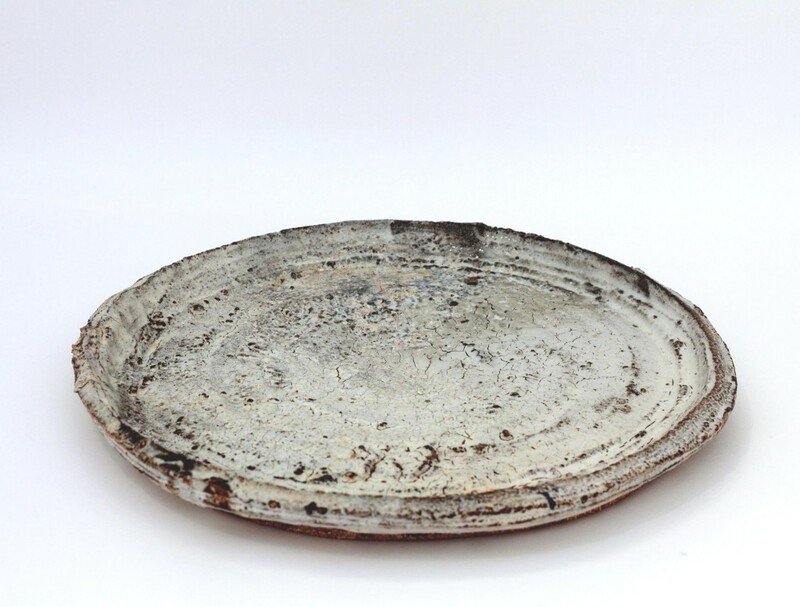 Large Plate, Stoneware D:44 cm. Mini Moon Jar, Stoneware Diameter 19 cm. 9. Box, Stoneware 43 x 17 x 18 cm. 7. Medium Pod Form, Stoneware H: 35 x D: 36 cm. 7. Large Pod Form, Stoneware H: 36 x D: 44 cm. 2. Large Round Bowl Stoneware 29 x 43 cm. White Tulip cup, Stoneware h7.5 cm. Giant Moon Jar, Stoneware H: 64 x W: 65 cm. 1. 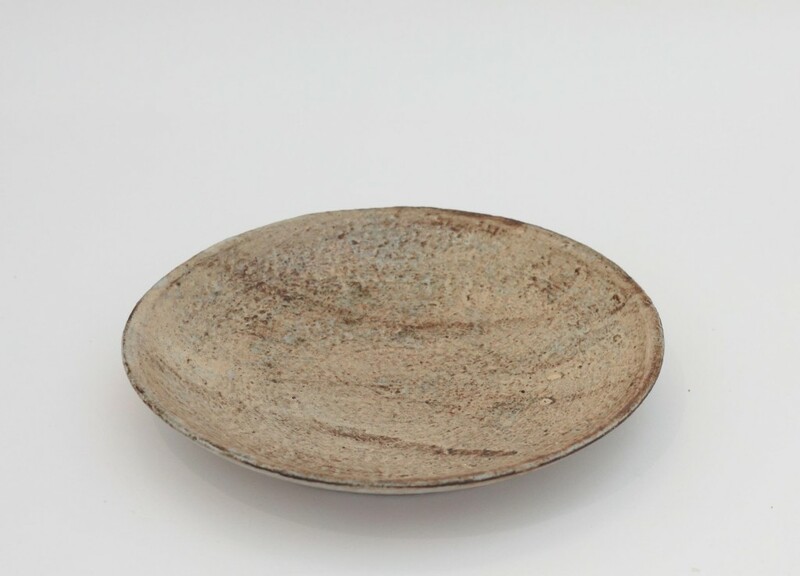 Medium Round Bowl, Stoneware H: 16 x D: 36 cm. 10. 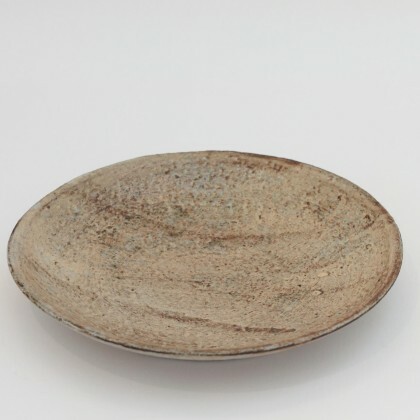 Dry Kohiki Bowl, Stoneware D: 27 cm. 4. Large Conical Bowl, Stoneware 55 x 20 cm. 11. Dry Kohiki Bowl, Stoneware D: 29 cm. 19. Tea Bowl, Stoneware D: 13 cm. 33. Large Tsubo Jar, Stoneware h46 x 45 cm. 12. Dry Kohiki Bowl Everted Lip, Stoneware D: 21 cm. 60. 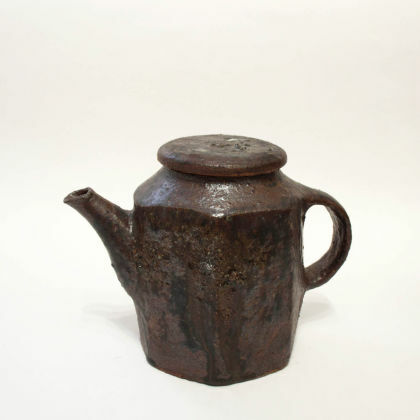 Iron Brown Faceted Teapot, Stoneware h15 x 19 cm. 3, 4 & 57. 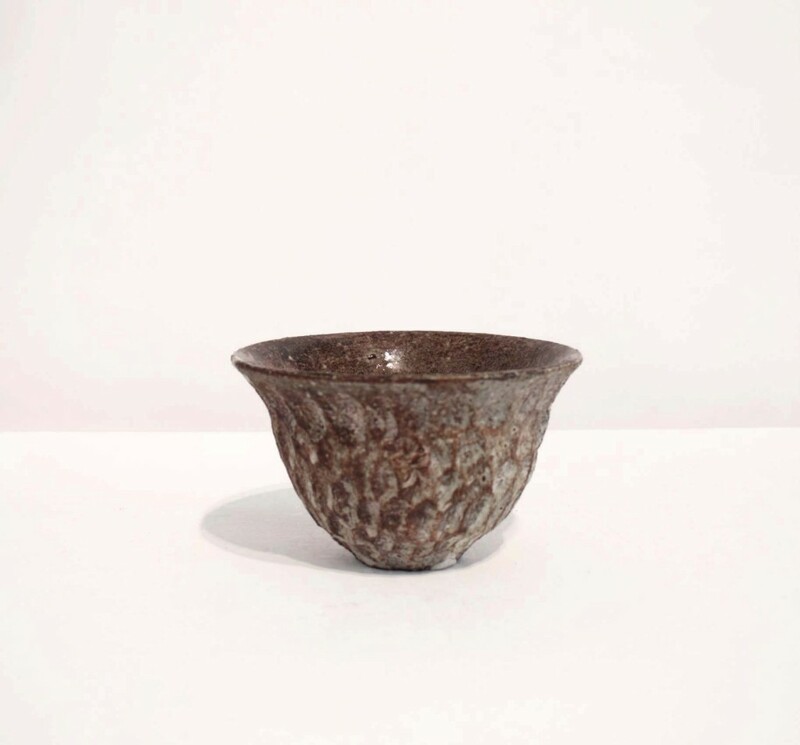 Dry Kohiki Facet Teabowls, Stoneware h9 cm. 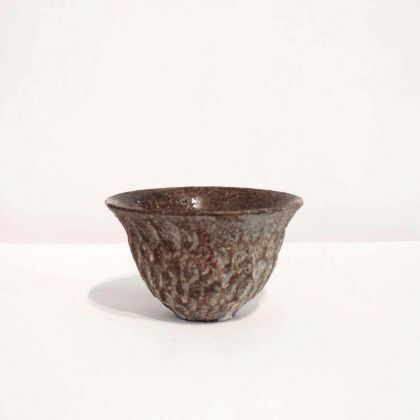 BDK3 Brown Dry Kohiki teabowl, Stoneware h7.5 x 12 cm. 59. 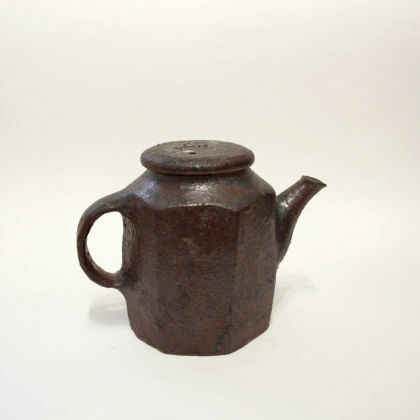 Dry Kohiki teapot and 61. 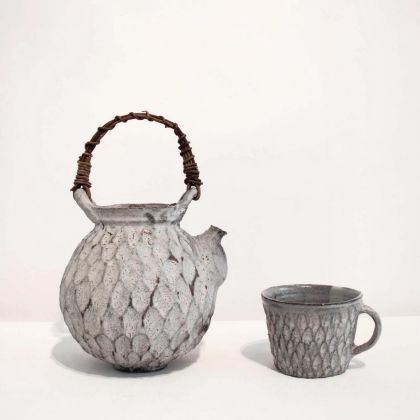 Dry Kohiki Mug, Stoneware h26 cm and h8 cm. 18. Tea Bowl, Stoneware D: 13 cm. 3. Large Moon Jar Stoneware H: 42 x D: 37 cm. 36. Seed Vase Fluted, Stoneware h14 cm. 64. Dry Kohiki Cup, 45. Dry Kohiki Bowl & 65. Dry Kohiki Cup, All stoneware heights 7 & 8 cm. 47, 51 & 50 Dry Kohiki shotcups, Stoneware h8.5 x 6 cm. You sometimes find a connection between two or more things that appear to be completely irrelevant. We do not usually try to find these puzzles because they are hidden beyond our consciousness. We cannot see them as they do not exist, yet occasionally there are events that trigger that sense of connection. It is almost shocking when this sensation is awoken. When it happens, we call it ‘coincidence’. I believe these coincidences are lead by the incompleteness of the events. In the world of physics, everything moves towards a balanced form and completion, as does our state of mind. When you see something that is not ‘quite right’ your eyes automatically try to adjust it, to almost make is look right. How do we know the balance – but we do. So we gather trivial information from our everyday life and store it in a corner of our head. It is so unimportant and small if it exists solely as a fact. However, when it becomes part of something, it all makes sense. What is the connection between my work and this small piece of writing? I try to put similar thoughts of mine into my ceramic pieces. They should not have a clear message as they are supposed to fit somewhere into the users’ mind. 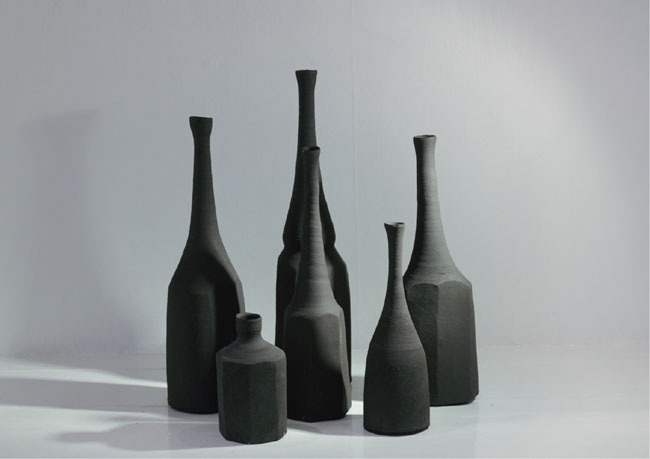 My preference of choosing types of clay when making white ware is the dark and coarse clay most of the time. The whiteness acts as a membrane or a veil. 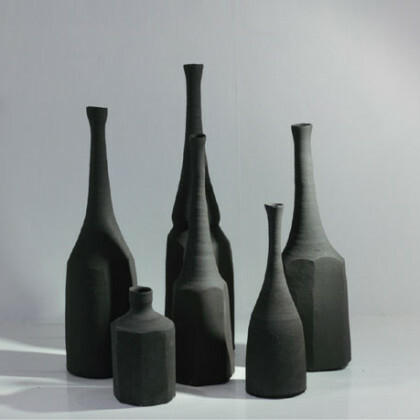 The hints of the true nature of the material appear slightly on the surface. Dark clay which consists of many impurities induces strong chemical changes in heat and the trace of events remains under the veil when it cools down. White, on the other hand, is more stable because of its purity. It is already settled and has a feeling of ‘stillness’. Superficially my work appears to be quiet in white. It does not show the rawness of Mother Nature directly. A symbolic figure always looks more perfect than the actual person he/she is. Imagination and fantasy always reinforce the imperfection and achieve the perfection with its own originality. Therefore the completion of my work is done by the viewers. My work is a creation of its own.